Cover each desk with two sheets of newspaper. This will protect the desk from paint. You may also want to ask the parents to send in smocks or old T-shirts for the students to wear on the day that you schedule this craft. Give each student two paper plates. You can get a pack of 100 for a few dollars. Have the students lay the paper plates out in front of them. Then take one of the paper plates and flip it over on top of the other one. Now they form a globe shape. Have the students pass around the stapler and staple the edges of the paper plates together so they don’t come apart. Now show the students the globe and specifically point out the western and eastern hemispheres. Show them that one side of the paper plate Earth will depict the western hemisphere while the other side will depict the eastern hemisphere. Give them green paint to paint all of the land masses on the paper plates. They should try to paint it similar to the landforms on the globe, but it doesn’t have to be perfect. 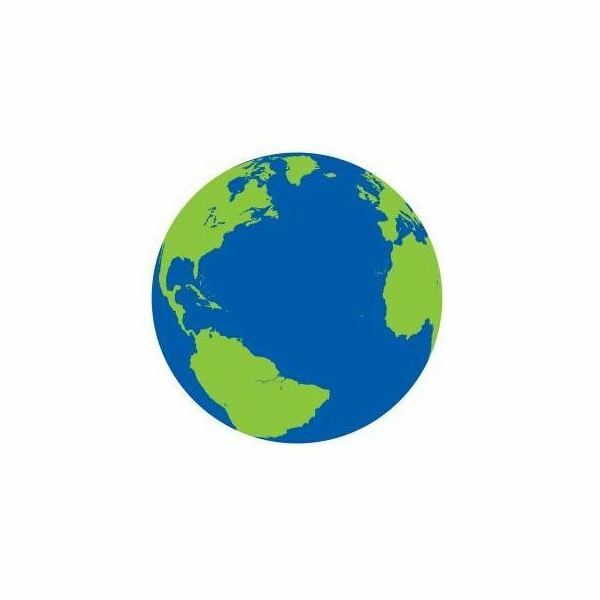 The rest of the globe is water, so the students should paint it blue. Make sure they remember to paint both sides. Allow the paper plates to dry. Have students name each continent and point to it on their paper plate Earth. Have them label the continents with a black marker. Ask the students to point to the four oceans. Have the students label the oceans with a black marker. Hang the globes for a week or two and then allow the children to take them home to their parents.